Product Highlights Foam yoga blocks are used by amateur and professional yogis alike! Using a foam block will improve form, alignment, and flexibility. 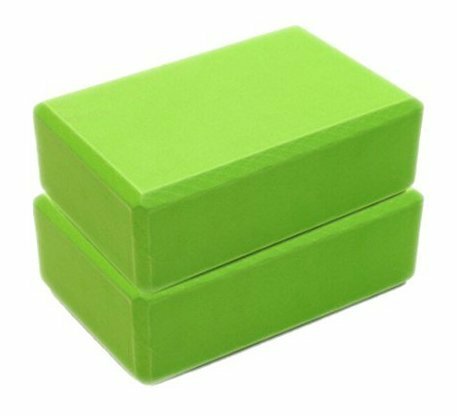 Our 4"" generic foam block is made from sturdy, scratch resistant material that is soft and fun to touch. This is the most common size yoga block and will suit the needs of most yogis. Need a little extra boost? Just flip your block length-wise! we are sure you can find a block to suit your unique style. Grab a Yoga Accessories foam block to supplement your home practice, or grab a whole boat load for your yoga studio! You'll find that a foam block can provide the stability and lengthening leverage you need to fully extend into your favorite postures. Just place a block under your hand for half moon pose and smile as your instability melts away!